First and foremost, alcoholism is a disease. No one chooses it, even if it seems like their only priority. Abusive alcohol use literally changes the pathways in the brain. If you have a loved one you suspect has a drinking problem or you’re drinking yourself to death, it’s never too late. It’ll take some hard work and dedication, but you can get better. Learn how alcoholism progresses in the three stages below. Like anything intense, full-blown alcoholism doesn’t start right away. It doesn’t develop overnight or without warning signs. As an addiction progresses, the person in question becomes more and more secretive. They may be ashamed of their oncoming disorder and go to great lengths to hide their behavior. This stage can look different for everyone, but it’s characterized by lying and isolation. They may withdraw from normal group activities, show up late or leave early. These are the warning stages friends and family normally miss since it just seems like they’re being a little off. If you confront them about this behavior, it’s unlikely you’ll get a straight answer. They may get defensive and emotional that you think they have a problem. This isn’t your fault – it’s something they’re dealing with themselves. Unfortunately, you can’t make an addict listen to reason until their ready. Even if they’re still in the early stages. Their decisions are ultimately up to them, as harmful as they may be. Don’t fool yourself. 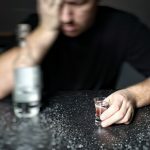 Just because this is the first stage of alcoholism, that doesn’t mean it’s not harmful both biologically and emotionally. This is the stage that will set the precedent for the rest of the person’s illness. It’s characterized by a few symptoms. The first, and most well understood is the craving for alcohol. Notice we said “craving,” not need. The actual dependence part hasn’t kicked in to play yet. At this point, the person may find they’re consumed by thoughts of alcohol and getting drunk. They can find their thoughts distracting, getting in the way of efficiency at work and in daily activities. They may start canceling plans or prioritizing plans at bars or where there’s alcohol. The second symptom comes after they’ve had their first drink. They’ll find that they can’t stop drinking once they’ve started. Even if they know their limits, they’ll easily and happily drink past them. At this point their goal isn’t to take the edge off, it’s to get as drunk as they can. This urge can be conscious or subconscious. After a short while in this stage, they’ll start building up a tolerance. They’ll find they need more and more alcohol to get them drunk and expenses and irresponsible drinking behaviors begin to mount. Finally, they may notice the beginning of withdrawal symptoms when they haven’t had a drink in a while. This includes shaking, sweating, and nausea – along with emotional symptoms of irritation and anxiety. During stage two, the body starts to express its unhappiness with the alcohol intake. In this stage. withdrawal symptoms get much worse. When it’s been eight hours or so without a drink, the person can experience terrible headaches. Enlarged pupils and shakiness are also common. They may find they sweat more and have a rapid heartbeat. Drinking alcohol is an almost immediate cure for these symptoms. Though not in the long run. Relationships between the addict and their loved ones will start to crumble as the addict prioritizing drinking more and more. Job performance suffers, usually to the point of getting written up or fired. The addict may stop caring what they look like, appearing disheveled or unwashed. Long gaps of drinking-related memory loss are common. Insomnia is common, especially when sober. The alcoholic is always tired, as alcohol impairs your natural sleep cycles and keeps you from going into deep sleep. The final stage of alcoholism is what we think about when someone says “alcoholic”. These people are barely functional, usually jumping from job to job – if they’re able to secure one at all. If unemployment or disability is accessible, the full cost usually goes towards funding their drinking. The alcoholic may be completely isolated now, having broken the trust of everyone around them. At this point, the drinking has taken a bad toll on the body. 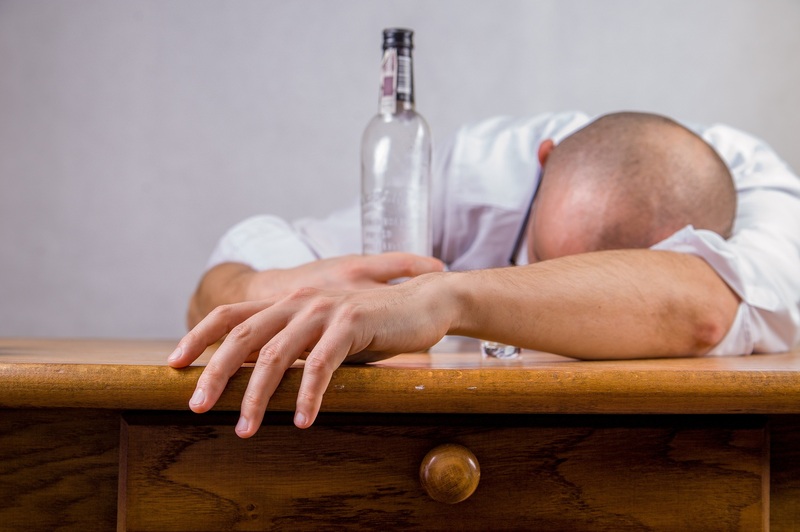 Alcoholism can cause hepatitis, along with a suppressed immune system. We see liver damage, in failure or cirrhosis of the liver. Very advanced cases or those in people who were already at risk can cause permanent heart or brain damage. If alcoholics stay in this state long, death is likely. If it’s not from the biological risks of alcoholism, then from accidents stemming from risky behavior. Many alcoholics take up another drug and begin to use both substances at the same time. This only quickens/worsens the biological symptoms and puts them at higher risk for accidents. Over 30,000 people die from alcohol-related complications every year, including Norman, Oklahoma. Don’t let your loved one be one of them. Note to them the signs and symptoms you see and how its’ effecting you. How is the family suffering from their illness? Ask them to get the help they need at an alcoholic recovery center. Be optimistic and supportive, they’ll need all the help they can get along the way.